While 2007 became a year of market change that brought challenges to both buyers and sellers, 2008 is poised for recovery. The lending 'crisis' of this past year caught buyers off guard and left sellers in a lurch. In addition, sellers hoping to cash in on the previous years' boom, or ones in financial trouble, found themselves swamped in inventory with few buyers. Luckily for all of us, Louisville's real estate market is somewhat isolated from the rest of the Nation and mostly influenced by the local economy which remains strong. With Ford electing to keep open the two Kentucky plants, plus the growth seen by UPS and other local employers, Louisville's job base and therefore real estate purchasing power remains intact. We did go through a period of increased inventory, plus the foreclosure rate is abnormally high, so the market is still fragile. The inventory will correct itself some throughout the winter months, but will probably remain higher than average for Louisville. The counter to that problem is the lending industry responding to the demand for mortgage options for first-time buyers, plus consumer confidence increasing as the economy stabilizes. This next year will continue to be a year of change and adjustment for the market, but buyers and sellers armed with solid market information who are willing to flex with the market should be in a favorable position. It will be a good year to buy, and for those sellers who take the time to make cost effective updates, it will remain possible to sell for a fair market price. I encourage anyone considering selling their home or making a purchase this next year to take the time and become completely informed regarding the market before making any commitments. Secure competent, knowledgeable guidance and representation and learn how to save yourself money by comparing all available options. You can contact me through my website, Louisville Real Estate, if you would like discuss this post. Good luck, I hope you have a successful year buying or selling a home! My opinion is that within the next two years, the internet will be responsible for initiating 90+% of all real estate transfers. Of course, this is very bad news for print publications, but the flexibility and search capabilities of the internet makes flipping through a magazine randomly looking for a home a waste of time. I'm sure those options will linger for those who prefer them , but it won't be much further down the road where print publications cannot financially survive. Why am I telling you this? Because the age of the internet is fully upon us today and there are buyers and sellers who have completely embraced the technology to their advantage. This means these buyers and sellers will have a significant jump on the competition in terms of speed, knowledge, and timely market information. If you are not on the same playing field, using the same technology, your dream home could be snapped up before you even know it exists, or your neighbor's home sold before you get a first showing. What can you do to catch up if you are new to using the internet in this manner, or to improve your technique if you have some experience? The short answer is to partner with a Louisville, KY Realtor who is internet savvy and let them help you learn to fully utilize the system. Certainly I have an obvious bias in this situation, but I also have a tremendous amount of experience with the internet and the know-how to make it work for my clients. The best part is I give the advice and guidance for free, but I do ask that you strongly consider using me to help you close your transaction. Another option you have is to sit in front of the computer and start using the internet. Go to Google and begin to search for terms that relate to what you wish to do. Read as many articles as you can online that give guidance on how to find homes on the internet. You should be aware that you can find out a huge amount of public information on the internet, most likely for free, that will expose critical information about specific properties that can be used favorably in negotiations. You will most likely need someone with significant experience to find this information (like me), but it is available. There are other options, if you please, but the point is to get involved, learn the technology, and get ahead of the competition NOW! Even if you cannot use a computer, don't own a computer, or are not even sure what the internet is (it makes me wonder how you are reading this post!! ), you can make the technology work for you by using a knowledgeable partner. All you need to do is communicate in the terms that are familiar to you and have your partner translate it into internet-speak. I promise you will be amazed if you have the opportunity to see the full power of the internet in action, and you will never want to go back to the old ways. It's just too convenient, logical, and saves so much time and effort. Contact Joe Hayden, or send an email and I will be happy to demonstrate to you this wonderful tool. Real estate is a business of details. From contracts to disclosures to listings to marketing plans, detail is everything. Every paragraph, phrase, and word holds specific meaning and must be used with care to accurately convey meaning to other participants in the transaction. What you say and don't say can cost you money...big money. And don't think for a second that the other parties in the transaction will not take advantage of an unfortunate oversight. It happens during negotiations and at the closing table every day; one party's intent, while sound and fair, is not adequately defined in a contract and the other party is able to win concessions. Let me give you a specific example: Let's say you have some evidence of water damage from a past roof leak on your ceiling. The roof leak has been correctly repaired by a reputable company with sufficient documentation, but the buyers request that the ceiling itself be repaired. You agree to this repair and an addendum is added to the sales and purchase contract that states precisely... "Seller to repair water damage to ceiling in living room". What exactly did you just agree to repair? Did you agree to repair any mold damage or evidence behind the drywall? Did you agree to use the same quality materials, or a reputable company to make the repair? Did you agree to paint the ceiling after the repair? See where this is going? The repair request lacked detail and clarity, and is now open to interpretation. This being an example from the real world, I will tell you the seller interpreted the request to mean "repair the ceiling using a reputable company with similar materials, but a repaint is not required". Of course the buyers thought it was understood the ceiling would be repainted. After a battle at the closing table over the meaning of the addendum, the buyers had to accept the repair as-is and the seller had to make no further corrections. Unfortunately for the buyers, their real estate agent allowed a poorly written addendum to develop into a serious point of contention that threatened to destroy the deal. Keep in mind the importance of details when you are working with real estate, and make sure you are working with competent representation. If two people cannot read the same verbiage and come to the exact same conclusion, the wording is insufficient. Make sure you review your choice of wording in detail and if you are in doubt, seek the advice of an attorney. It can be pretty painful in the wallet should you make a mistake. 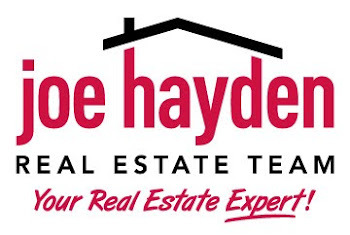 I am always available through my website, Louisville, Kentucky Homes, to answer all of your real estate questions. You won't find me 'ranting' too much on this site just because it is not the tone I would like to set for my blog, but here is one topic that has made me a tinge disagreeable; the rampant popularity of television, radio, and print media's fascination with investment property. For all of the concern about mortgage lending issues, sub-prime loan defaults, the declining dollar, and national and local economic woes, you would think the mass promotion of a complicated and challenging investment strategy would be tempered. Unfortunately, this is not the case and now we are facing legions of potential investors willing to fork over outrageous sums for dilapidated or otherwise faulted properties in an attempt to make the big bucks. I'll give it to you straight and easy...Virtually no one makes profits greater than 5-15% on flipping properties no matter what you are led to believe. Furthermore, this profit is based upon the investment in the property, not the sales price. In other words, if you secure control over an investment property and invest $25,000 of your capital into the project, you should only expect to reasonably profit ~$1,500-4,000 after all expenses are paid. Very quickly you should see that except for that rare property that scores a fantastic return, you need to buy, fix, and sell a large number of properties to realize the returns promised on TV. This takes careful planning, lots of time, resources, and specialized knowledge, plus the willingness to deal with all of the 'entertainment' one finds in the real estate business. Frankly, not many of us have the internal fortitude, access to capital, and earned skills necessary to be successful as a property 'flipper'. In my opinion, the number one reason people are unsuccessful as investors is they do not start with their exit strategy. That's right friends, your exit strategy dictates to you your maximum purchase price, the amount of money to be allocated to repairs and improvements, holding costs such as mortgage interest and electric bills, plus a reasonable buffer. Oh, it also should include a profit! If you are not calculating all of these expenses, and more, before you even consider making an offer on a property, then you are taking a tremendous risk. Let's touch on the subject of competition for these investment properties, and let's agree that it is very fierce. There are highly sophisticated operations in every major market that tend to dominate the acquisition of prime properties. You have to be prepared to bid against operations that can lower their profit expectations on individual properties without harming their overall strategy. This means you will make even less profit until you can better compete with the pros. In addition, you will be subject to the same market fluctuations that affect every seller and buyer in your community. You need to remember that as the number of decent investment properties that become available increases, it is a sign of potential trouble in the market and it will lower your profit expectations. You have to pay close attention to location and consider your target buyer carefully. As you can see, flipping properties is multi-faceted and potentially extremely risky as an investment platform. Of course, there are those who do it for fun as opposed to profit and others with enough capital to absorb significant losses, but for the average investor it is mandatory you carefully evaluate your goals, your financial situation, the market, and seek competent guidance before taking control of your first investment property. Here are the current market stats from the Greater Louisville Association of Realtors MLS system. It shows we still have a significant number of houses on the market (over 10,000), but our pace of selling is actually in line with local tradition for the time of year (1140 homes sold). The average selling price is relatively normal, as is the average days on market, and the median home price. The market looks solid against historic markers, we just have a high inventory, plus an increase in loan defaults causing some troubles for sellers. I recommend being prepared to offer some concessions as a seller (paying some of the buyer's closing costs, or giving other allowances), but I encourage sellers who are not in financial trouble to continue to seek fair market prices for their homes. Buyers should take advantage of the great rates being offered, take their time to find the perfect home, and should strengthen their negotiations with sellers. I'm always looking for a good place to throw in a cheap cliche and the current real estate market in Louisville has afforded me another great opportunity; 'may you live in interesting times'. While this is actually an ancient proverbial curse, it seems quite apt to what we are seeing today in the Louisville area. For years, home owners, Realtors, mortgage lenders, investors, and other participants in the real estate market have enjoyed quite a boom in business and income. Unfortunately, certain aspects of fiscal responsibility were ignored, such as the value of good credit, the importance of access to a cash reserve, and the recognition that buying a home is just not for everyone. This perfect storm brewed under the radar until this past year when we finally reached a point where the housing inventory had increased to near record levels, and the number of previous buyers who were risking, or actually in, default multiplied dramatically. While Louisville is not alone in this situation, because most major real estate markets remain somewhat isolated from each other we must face our challenges regardless of what happens in the rest of the Nation. As a Realtor, I make my living from helping people buy and sell homes. It is very important to me that the market is positive, that the public has enough confidence in the economy to continue to invest in real estate, and that we take proactive steps to reduce the possibility of further damage to our already fragile market. What are some solutions to the present challenges brought on by our past actions? From a pure business standpoint, real estate industry professionals must continue to control costs and find better ways to do their jobs to help the consumers save money. In addition, we must educate our customers and clients to ensure that they make the best decisions possible for themselves given their personal and financial status, not what we think is best for us. As I said before, just because you can afford a home doesn't mean you should buy. And finally, we must remain positive and realistic about the market. It is a provable fact that Louisville's real estate market is still as active as in years past, we just have such a large unsold home inventory it masks this knowledge. I welcome your comments on this topic and look forward to seeing a variety of opinions!